The last episode of "PRODUCE 101 Season 2" was broadcast on June 16. Have you enjoyed the episode? Yeah, 11 members of new boy group Wanna One have been determined, and they'll make an official debut soon. By the way, it seems like some people in Korea are blaming BoA for not doing better as the host of the audition program. You know, whenever she announced names of Wanna One's members, she took too much time to open her mouth, and the episode was broadcast live for about three and a half hours, which was an hour and a half hours longer than usual. However, it was not BoA's fault. Yeah, it was definitely the production crew's fault. They wanted to heighten tension and make viewers get absorbed in the program, but they just provoked many people. They boiled it for too long, and not only viewers but also all the trainees who had to stand and wait for a long time got very tired. This is how Mnet usually does things. All the broadcasting company cares about are ratings. BoA was just waiting for the production crew's signal to announce names of Wanna One's members, and she did what she was told to do. Yeah, she has only done what it was her duty to do. You know, BoA has been doing great as the host of "PRODUCE 101 Season 2". 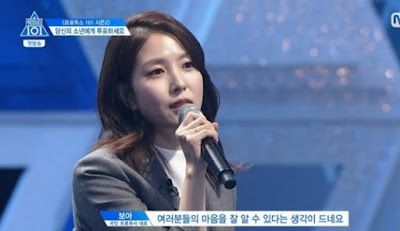 She gave advice to trainees as a professional, and the trainees were obedient what she said because she has great personal charisma and she is the one who is respected by many other k-pop singers. Many people in the Korean entertainment world are now saying that one reason for the program's success is BoA. Anyway, did you watch the teaser clip for BoA's CAMO project? It's really awesome. 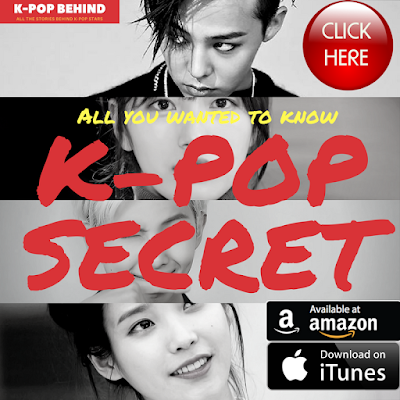 She will make a comeback soon, and it is expected that the top star's new album will draw much attention from k-pop fans all over the world.